August is a time when the slow schedules of summer are interrupted by the back-to-school madness. Gone are the days of afternoon baking with your little ones, and here are the days of busy mornings and meal prep. Homemade pasta is not often thought of as a “meal prep” kind of meal, but it totally can be. You can make a big batch, dry it out, and store for the week. 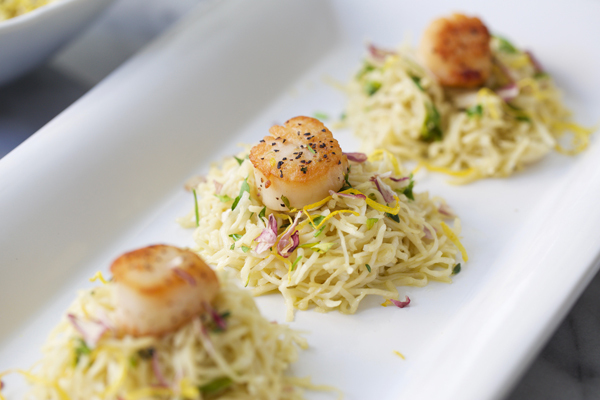 In the spirit of homemade pasta, I’ve got a capellini recipe for you: Homemade Lemon Butter Capellini with Seared Scallops. Homemade pasta sounds daunting, but every time I make it, I’m reminded of how easy it is, especially with the KitchenAid® 2-Piece Pasta Cutter Set. The KitchenAid® Stand Mixer and Attachments basically do everything, except for two minutes of hand kneading. For this recipe I used the Capellini Attachment from the 2-Piece Pasta Cutter Set. I love the commercial-style stainless steel cutters. They’re heavy-duty and easy to clean with the included brush. Start by making the pasta. Add the flour, eggs, water, and salt to the bowl of the Stand Mixer. Attach the Flat Beater to the Stand Mixer. Mix on speed two for 30 seconds. Attach the Dough Hook to the Stand Mixer. Mix on speed two for two minutes. The texture of the dough should be leathery and pliable but not sticky or crumbly and dry. To test it, pinch a bit of dough between your fingers. The dough should not stick to your fingers and should stay together when pinched. You may need to add flour or water to get the right consistency. Remove the dough from the Stand Mixer and hand knead for two minutes. Cover the dough with plastic wrap and let sit for 20 minutes. Cut the dough into four pieces. Work with one piece of dough at a time while keeping the other pieces covered with plastic wrap so they don’t dry out. Attach the KitchenAid® Pasta Roller to the power hub of the Stand Mixer. Flatten the piece of dough into an oblong shape. Set the Pasta Roller to setting 1 (this is the thickest setting). Run the dough through the Pasta Roller. Dust the dough with flour. Fold it in thirds, and run the dough through again. Fold the dough in thirds again, and run it through again. Repeat this process one more time. Adjust the Pasta Roller to setting 2. Lightly dust the dough and run it through a couple times. No need to fold the dough at this point. For capellini, continue to roll the dough adjusting the setting up one each time until you reach setting 7. Lay the pasta sheets onto a clean dish towel dusted with flour. Allow to sit 5-10 minutes or until only slightly tacky. After you roll each sheet, swap the Pasta Roller for the Capellini Cutter from the 2-Piece Pasta Cutter Set. Run each sheet through the cutter. Place the noodles back onto the towels, separating the strands as best you can. If you plan to cook the pasta immediately, cover the noodles with a damp dish towel to keep the strands from drying out. To store the pasta for future use, gather groups of noodles together and curl them into nests. Allow the noodles to sit uncovered for 24 hours. After the strands are completely dry, the noodles can be stored in an airtight container for future use for up to two weeks. To cook the pasta, bring a large pot of salted water to a boil. Cook for around three to five minutes or until al dente. Drain and set the pasta aside. Melt a tablespoon of butter in a large skillet over medium high heat. Season the shallots with salt and pepper and fry until they are just crispy. Set aside on a paper towel. To make the scallops, first remove the small side muscle from the scallops. Rinse them and pat dray. Season with salt and pepper. Melt one tablespoon of butter in the skillet over medium high heat. Sear the scallops until they are brown on the outside and translucent in the center, about 1-2 minutes per side. 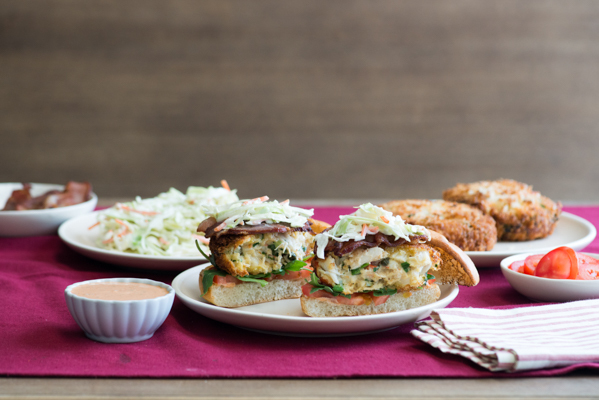 Set the scallops aside and keep warm. To make the lemon butter sauce for the noodles, add 1/2 cup butter or one stick of butter to the skillet. Cook on medium heat. Add the garlic and lemon juice. Add in the cooked pasta and toss. Add the fresh herbs and toss. Season with salt and pepper. For a unique presentation, serve the pasta in nests and top with scallops, lemon zest, and fried shallots. Share your take on this Homemade Capellini with a Lemon Butter Sauce and Seared Scallops on Instagram using #ForTheMaking for a chance to be featured. For this recipe start by making the pasta. 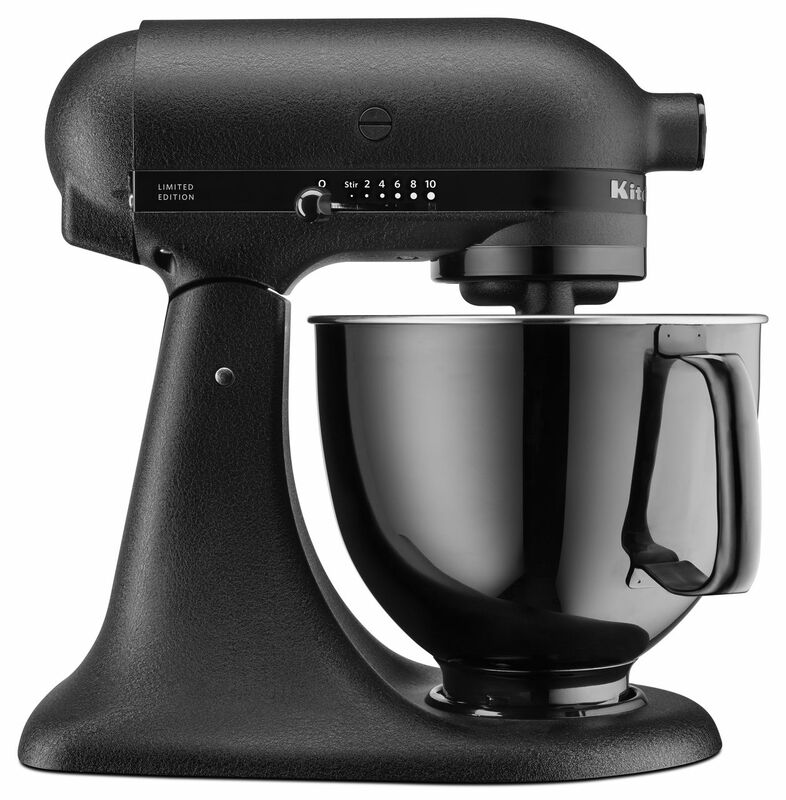 Add the flour, eggs, water, and salt to the bowl of the KitchenAid® Stand Mixer. Attach the Flat Beater. Mix on speed two for 30 seconds. Swap out the Flat Beater for the Dough Hook. Mix on speed two for two minutes. The dough should start to pull away from the sides. If not, you may need to add some more water. Only add about a teaspoon at a time, and knead a bit before adding more. The texture of the dough should be leathery and pliable but not sticky or crumbly and dry. A good way to tell if the dough has the right consistency is to pinch a bit of dough between your fingers. The dough should not stick to your fingers and should stay together when pinched. It should not crumble and fall apart. 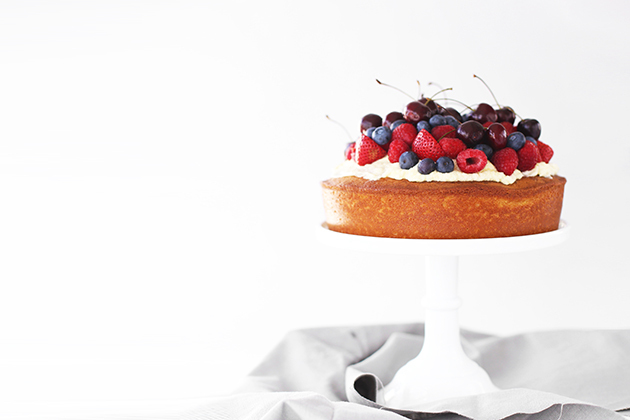 You may need to add flour or water to get the right consistency. Remove the dough from the Stand Mixer and hand knead for two minutes. Cover the dough with plastic wrap and let it sit for 20 minutes. 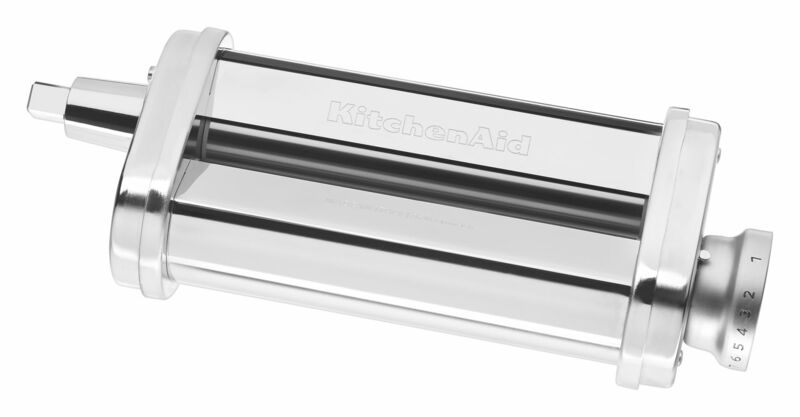 Attach the KitchenAid® Pasta Roller to the power hub of the Stand Mixer. Flatten the piece of dough into an oblong shape. Set the Pasta Roller to setting 1 (this is the thickest setting). Run the dough through the Pasta Roller. Dust the dough with flour. Fold it in thirds, and run the dough through. Fold the dough in thirds again, and run it through again. Repeat one more time. Adjust the Pasta Roller to setting 2. Lightly dust the dough and run it through a couple of times. No need to fold the dough at this point. For capellini continue to run the dough through the Pasta Roller, adjusting the setting up one each time until you reach setting 7. Dust the dough with flour before rolling if it starts to get sticky. Lay the sheets onto a clean dish towel dusted with flour. Allow to sit 5-10 minutes or until only slightly tacky. 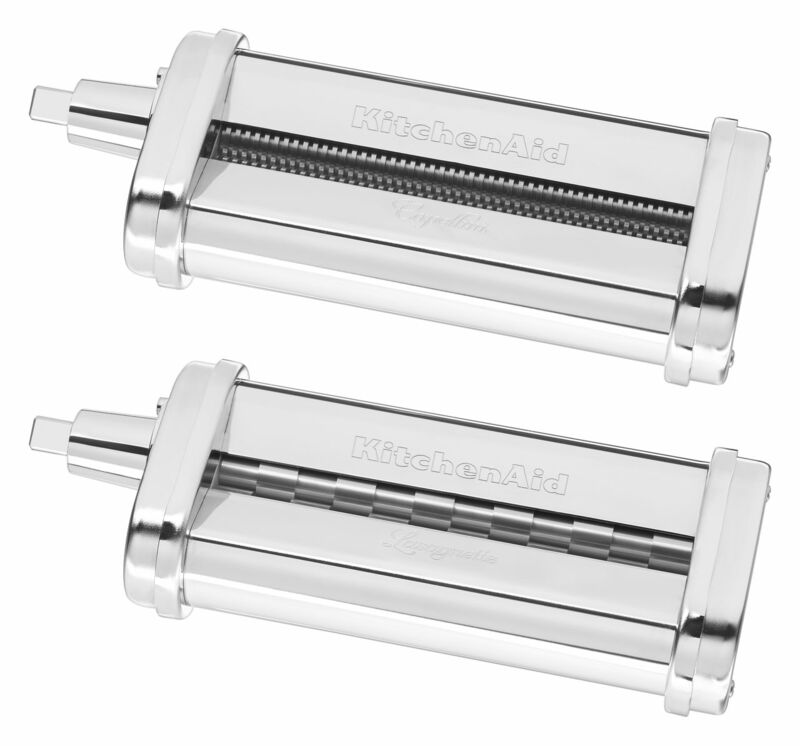 Attach the Capellini Cutter from the KitchenAid® 2-Piece Pasta Cutter Set to the power hub of the Stand Mixer. Run each sheet through the cutter. To cook the pasta, bring a large pot of salted water to a boil. Cook the pasta for around three to five minutes or until al dente. Drain and set aside. Melt a tablespoon of butter in a large skillet over medium high heat. Season the shallots with salt and pepper and fry the shallots until they are just crispy. 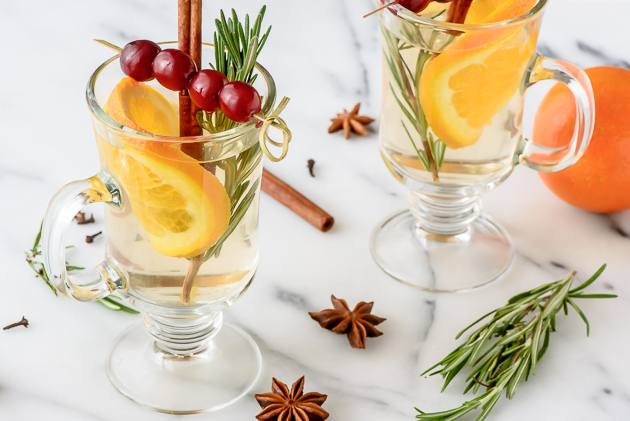 Set them aside on a paper towel. Next, make the scallops. Remove the small side muscle from the scallops. Rinse the scallops and pat dray. Season with salt and pepper. Melt one tablespoon of butter in the skillet over medium high heat. Sear the scallops until they are brown on the outside and translucent in the center, about 1-2 minutes per side. Set the scallops aside and keep them warm. Serve the pasta in nests. Top with scallops, lemon zest, and fried shallots.